CARRIE RODRIGUEZ is a talented and successful singer, songwriter and musician from Texas. Thank you very much Carrie for being our guest at “my American friend”! CRISTINA SCABBIA is a great singer. She’s one of the two vocalists of the Italian metal band LACUNA COIL ( www.lacunacoil.it ) . Being able to speak English, she made a career with her band not only in Italy but all over the world. 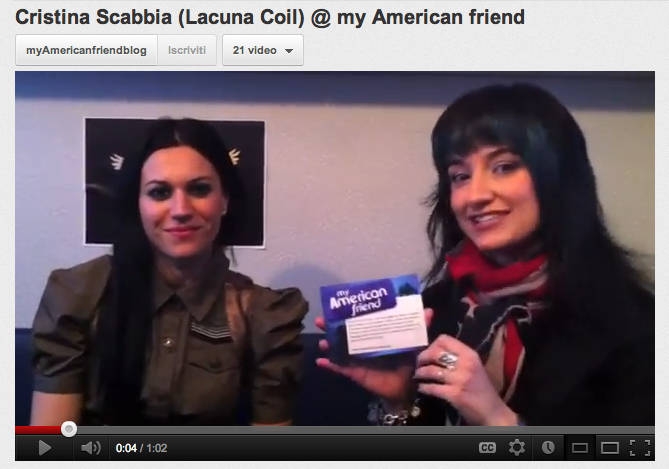 Thank you very much Cristina for being our guest at “my American friend”! Reb Beach is a great guitar player (Whitesnake, Winger, Dokken, Alice Cooper…). In this video he says that learning English is really important in order to make a living in the music business nowadays. 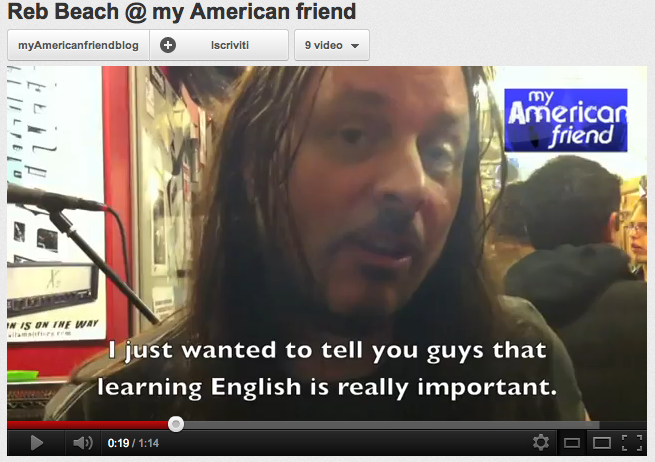 Thank you so much Reb for being our guest at “my American friend”!